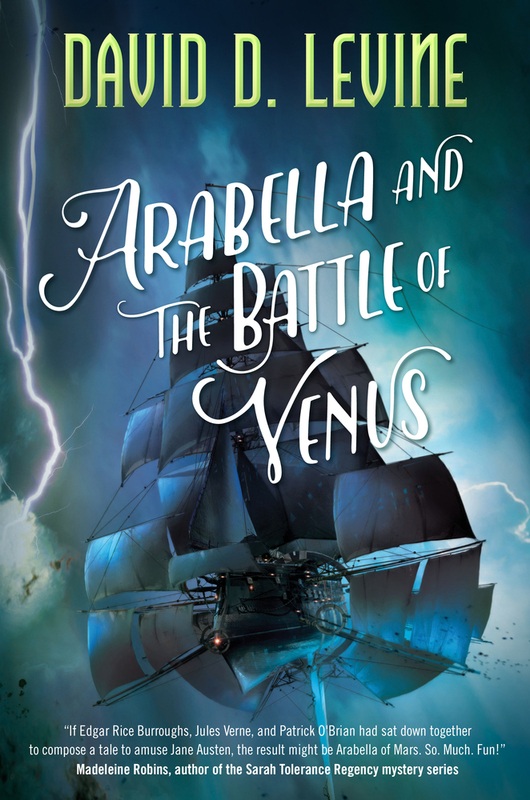 The thrilling adventures of Arabella Ashby continue in Arabella and the Battle of Venus, the second book in Hugo-winning author David D. Levine's swashbuckling sci-fi, alternate history series! Once on Venus, Arabella, Singh, and Fox soon discover that Napoleon has designed a secret weapon, one that could subjugate the entire galaxy if they can’t discover a way to stop Fouché, and the entire French army, from completing their emperor’s mandate. David D. Levine is the author of novel Arabella of Mars (Tor 2016) and over fifty science fiction and fantasy stories. His story "Tk'Tk'Tk"won the Hugo Award in 2006, and he has been shortlisted for awards including the Hugo, Nebula, Campbell, and Sturgeon. His stories have appeared in Asimov's, Analog, F&SF, numerous Year's Best anthologies, and his award-winning collection Space Magic. He lives in a hundred-year-old bungalow in Portland, Oregon.